Katsina, Nigeria: It is a typical school day in Take-Tsimi, a village in northern Nigeria. 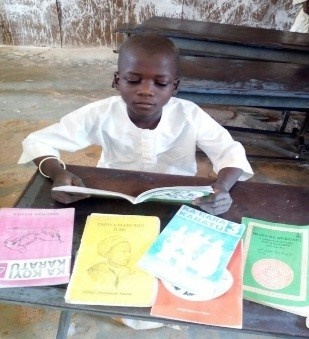 In Take-Tsimi primary school, a student named Salahudeen is called upon to read aloud in class. He stands up and does so with confidence, serving as a role model to the other children in his class. Over the last school year, Salahudeen has been sharpening his reading skills through participation in the Reading and Numeracy Activity (RANA). RANA is a three-year pilot project on Hausa language reading and numeracy, implemented by FHI 360 as part of UNICEF’s Girls Education Project Phase 3 (GEP3) with funding support from the U.K. Department for International Development (DFID). RANA is implemented in collaboration with the governments of Katsina and Zamfara states, and it aims to improve literacy and numeracy for girls and boys in primary grades 1-3 by assisting approximately 200 formal schools and Integrated Qura’nic Schools.